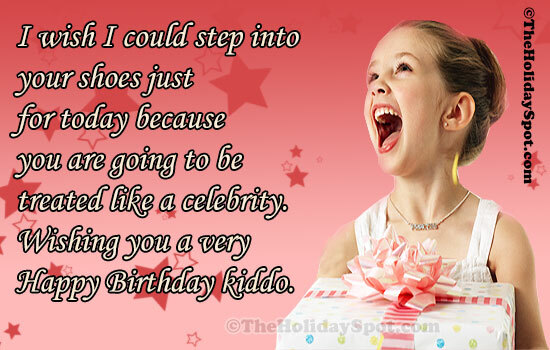 Welcome to the collection of birthday quotes. These timeless quotes have been doing the rounds since years, and they are as warm and heart touching as they were when they were born. 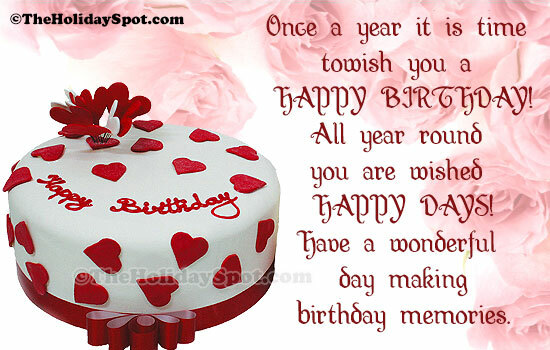 Feel free to send these quotes to your birthday boy or girl. 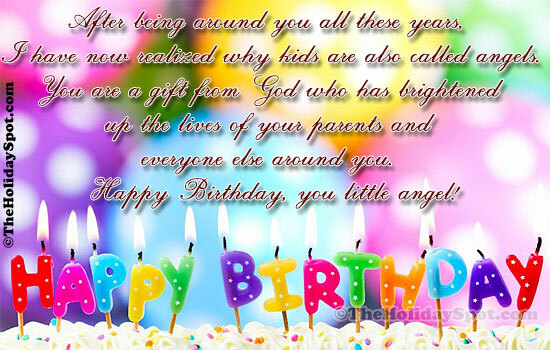 You can also copy them and send them along with a lovely birthday e-card (hyperlink to DF birthday section). And if you like this page, then please do refer them to your near and dear ones. 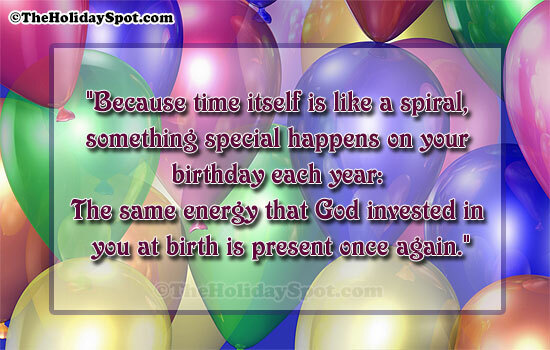 "Because time itself is like a spiral, something special happens on your birthday each year: The same energy that God invested in you at birth is present once again." "Before you were conceived I wanted you. Before you were born I loved you. Before you were here an hour I would die for you. This is the miracle of love." "When I was little I thought, isn't it nice that everybody celebrates on my birthday? Because it's July 4th." "My mother asked me what I wanted for my birthday, so I said I wanted to read poetry with her." "They share a birthday and a name, but moods and tempers aren't the same. Although at times they may dispute, their loyalty is absolute." Oh to be seventy again. for a crime you have not committed. but old people are no good at everything.